Situated on pie shaped lot with 100 feet, 12,772 of direct Downtown exposure and south of 5th skyline views. 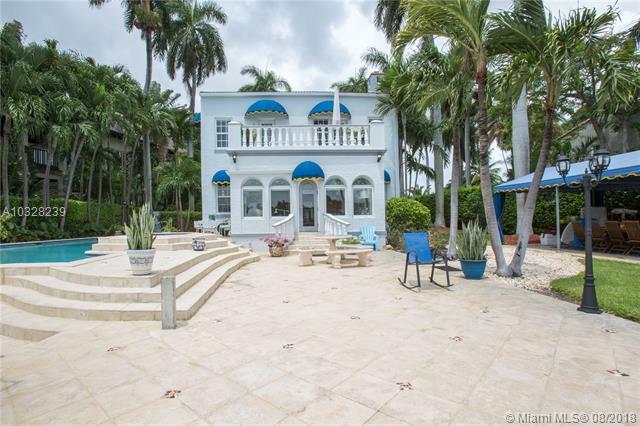 2 level Mediterranean revival recently modernized waterfront home on the Venetian Islands features 6br/5.5 baths (includes two 1br/1ba detached guest house). Spacious living & family areas, formal dining room, chef's kitchen w/ top appliances. 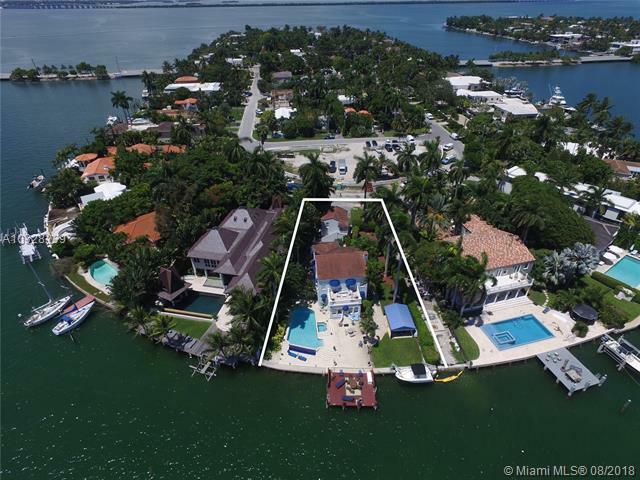 2nd level master suite with private terrace overlooking Biscayne Bay. Infinity edge pool w/ Jacuzzi, newer oversized dock and seawall w/ boat lift. - bedrooms & bathrooms as per owner.